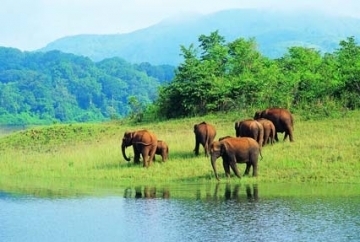 Located high in the undulating ranges of the majestic Western Ghats, in God's Own Country, Kerala, is the Periyar National Park and Tiger Reserve. 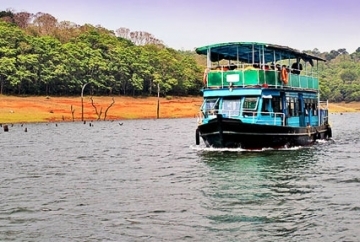 Periyar wildlife sanctuary has a pictorial lake at the heart which is the result of the dam formed over the Periyar River in 1895.This reservoir meanders around the contours of the wooded hills, providing a permanent source of water for the local wildlife. Though it's a Tiger Reserve, tourists come here to view the Indian elephants in the act of ablution and playfulness by the Periyar Lake. The surrounding slopes of the Periyar Lake are thickly wooded but grassy areas at the waters' edge are where animals can be spotted grazing. In the restricted areas one can go on foot which makes bird-watching highly enjoyable. 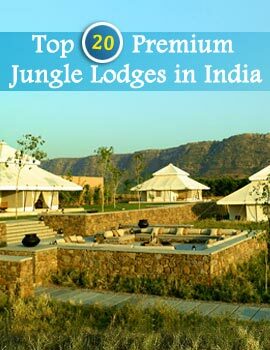 On one's trip to the core of the jungle, migratory birds will be visible at large. 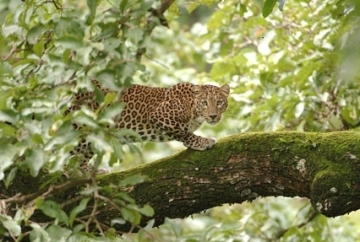 Trekking programme at Periyar Tiger Reserve is an exciting trek around core area. The starting point is Gavi, situated in the middle of the evergreen forest. After crossing the lake by row boat one treks to Meenar camp. The guests will be accompanied by local guides and porters. Pitch tents and camp are prepared for the night. Elephant rides and jeep safaris are easily available to explore the great wilds. The ride on an elephant is more to see than the boat voyage. The forest can also be viewed from the watchtowers erected inside Periyar Jungles. One can also make an entry to the reserve forest, by boat. 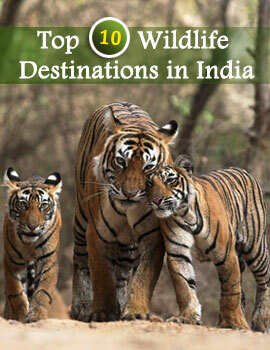 Indeed, that is also a pleasing experience.So visit this mysterious wildlife sanctuary.